Based upon the actor’s discipline of effective, engaging, and heightened communication, this workshop, focuses on the person as a communicator addressing voice, body, heart, spirit, imagination, and emotion. Participants develop their natural ability to express feeling through their voice and body. The activities in a workshop range from active, high energy group exercises, to calm dialogues and reflective listening. The work is a mix of group work, partner work and individual work. In 1971 whilst working in London as a professional portrait photographer, Ivan became a member of the Roy Hart Theatre, whose pioneering work with the human voice had received world wide recognition. 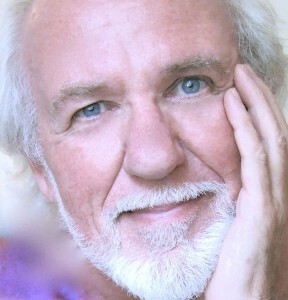 He moved with the company to the Chateau de Malerargues in the south of France in 1974 and taught voice workshops throughout Europe and the United States, and also performed in many of the theatre’s major productions, before training in Active Communicating, a theatre-based methodology designed specifically for the corporate world. As a senior facilitator for Corporate Scenes since 1992, Ivan has led seminars with wit and style for major international companies including AT&T, Pacific Bell, Nortel Networks, The Gap, Sandia National Lab, Levi Strauss, MacKinsey and Co, is a guest lecturer at The Olin School of Business at Washington University, St Louis, and is senior faculty with the annual Executive Coaching Institute at the Center for Executive Education, University California Berkeley Haas School of Business. He also spent 5 years (2004 – 2009) in South Africa as a master facilitator of the Brand Ambassador programme for Avis Corporation of Southern Africa and the Brand Champion programme for the Kelly Group and Transnet. Additionally he was a member of the original faculty with the Ariel group facilitating programmes for Deloitte and Touche and Societe Generale. With his own company, Hart Training, he facilitated seminars for PricewaterhouseCoopers and Prudential in the U.K. Combining his talents as voice teacher, corporate facilitator and photographer, Ivan creates and facilitates his own seminars, and also contributes his special skills to programmes run by other training companies. Ivan creates a fusion of humour, honesty, compassion and energy in his work, helping business professionals expand their ‘presence’, and communicate more effectively while developing their interpersonal relationship building skills. Ivan believes that the alchemy of theatre in the workplace challenges and encourages people to move beyond their everyday perceptions of both themselves and their fellow workers, consequently bringing a greater understanding and cooperation to the workplace.